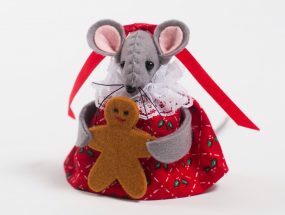 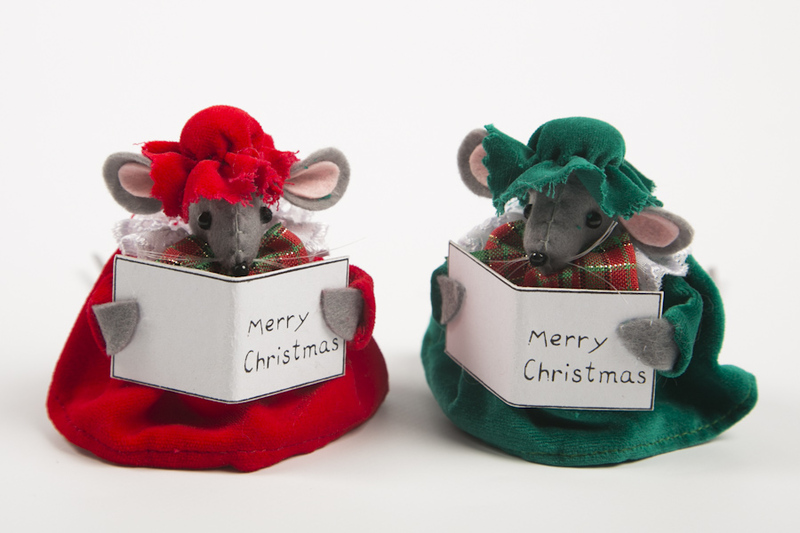 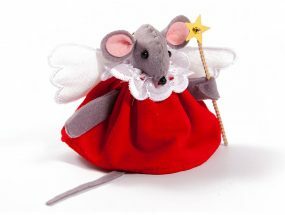 These adorable handmade Choir Christmas Mice Tree Decorations are made of grey felt and dressed in velveteen with matching bonnets and their own little choir books. 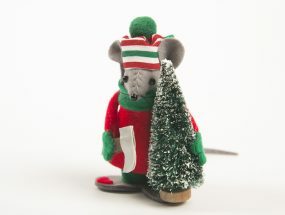 They stand 8cm tall and come with a hanging thread so they can either be hung on the tree or stand on a flat surface. 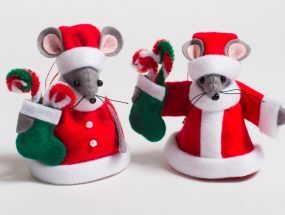 They come as a set of 2, one with a red outfit and one with a green outfit.